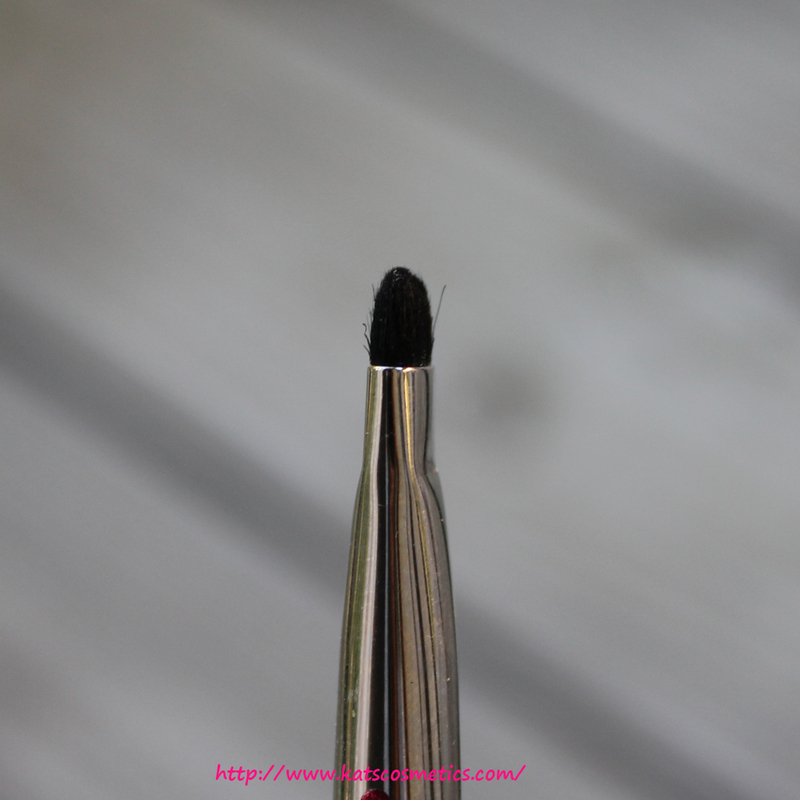 Short, rounded, double-chiselled brush with soft, natural bristles. 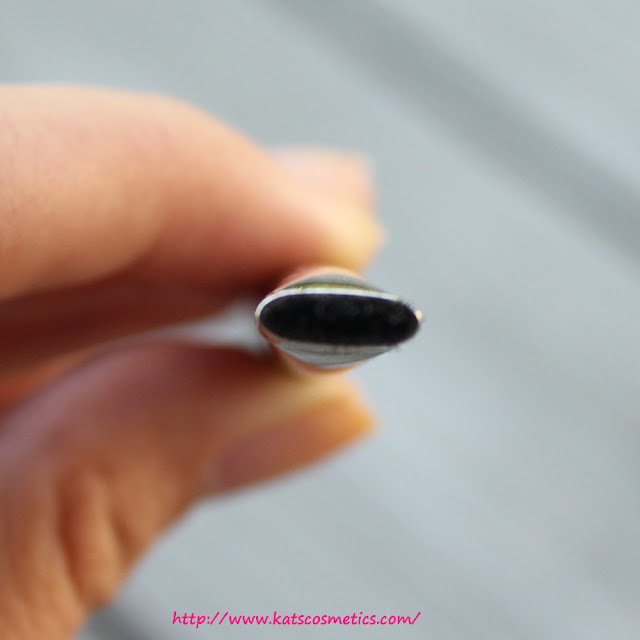 Can be used with shadow to line and smudge around the lash line and very effective for densely shading lids. This brush is designed for smoking out the lower lash line for a smokey eye effect, or darkening the crease color. 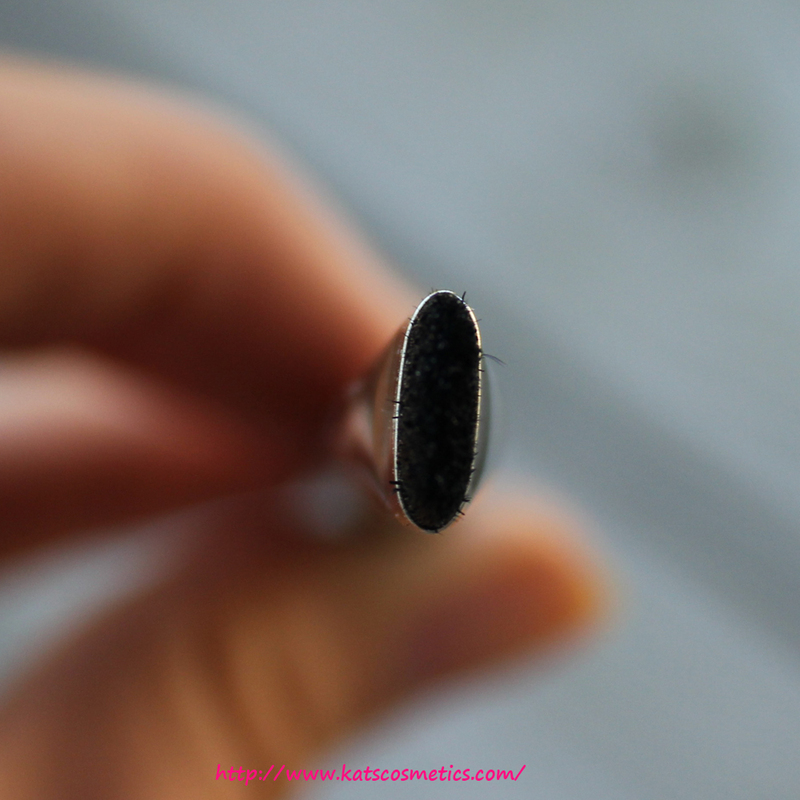 I found this brush is a little bit too much to smudge my lower lash line because the tip of this brush is too thin and it doesn't pick up the colors very well. 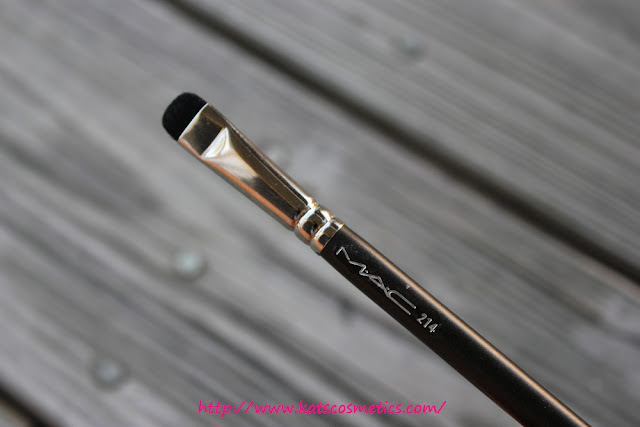 I tried to use this as a eyeliner brush but I got the same result - the brush tip is too thin. Since my crease is too small, I can't really use it as a crease brush, but this brush is really good to create a super thin line. I do find it useful for cream eyeshadow. 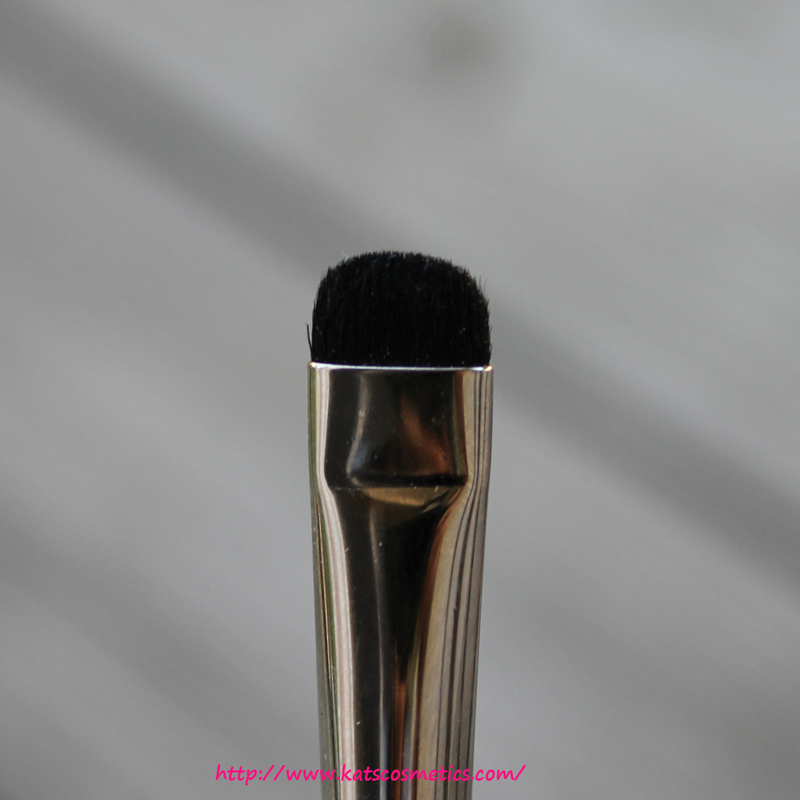 If I need to apply cream eyeshadow on my lower lash line, I will go with this brush.